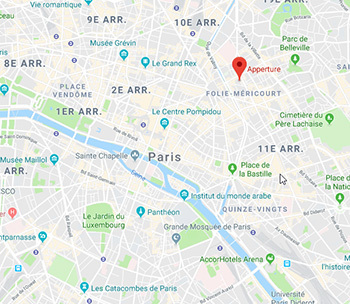 Apperture, one of the Persistant Studios’ subsidiary operating in Paris, Bordeaux and Montréal, uses interactive 3D technologies such as Virtual Reality and Augmented Reality, to free its clients’ operations constraints from the physical world. Whether you are marketing manager, communication agency, industrial-UX/UI designer, our experienced taskforce encompassing 30+ engineers, technical artists and projects managers, know how to help promoting your brand and entertain your customers and employees – We gathered a unique yet broad track record over the last years in regards of the 100+ projects successfully delivered to date to our clients and partners. In appointments, your customers will virtually live your products: the 3D format is facilitating comprehension, whereas immersion is strengthening the memorization, when interactivity creates the right emotional connection. On marketing events or seminars, your employees will immerse themselves into the culture of your business, while becoming the singular ambassadors of your offer! 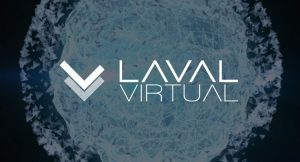 Persistant Studios is proud to confirm its presence in the VR/AR Content area at Laval Virtual 2018 event, from April 4th to 6th. We will showcase “Virtual Lupin”; our multiplayer escape-like experience implementing an innovative yet strong collaborative scenario – Feel free to contact us to request a private demo on booth! 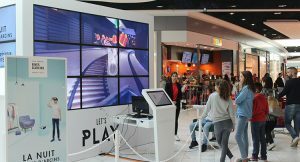 During the week of the Gaming Show (28/10 to 01/11/17) Apperture did assist the shopping mall Rives d’Arcins becoming an interactive playground thanks to a VR-based app developed from scratch. Our team proposed a brand-new experience for which the whole gaming zone relies on the shopping mall itself! 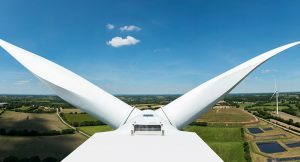 The Apperture team announce it has successfully shipped a new AR-based application to Valorem – The company was needing to communicate publicly about a project consisting of 12 wind turbines intended to power a large-scale area: we helped the company getting a preview of the park in realtime! From mobile development up to high-end VR sets, our engineering teams gained solid yet successful experiences throughout 100+ projects shipped to date, hence, we know how to properly make use of the 360 space while taking advantage of the narrative flow – Discover how. Want setting-up more complex kinds of immersive experiences exploiting specific data flows? While paying attention at overcoming the points of conflict between flexibility in design and functionalities, our team can recreate any 3D environment based itself on metrics or physics from the real-world environments. Rapid prototyping methodology usually focuses on reducing lead times associated with new product introduction to the project’s pipeline. Are your designers and engineers in the need of improving their interactive design capabilities? – See what benefits VR might offer you then. For industrial uses cases, the ability to manipulate 3D models (such as large objects that can be easily moved by hand), remains a valuable option to reduce costs associated with new product development. Our team can assist you in introducing new product, for which functional designs and tests will be critical. Inspiration, engagement, impact of the end consumer: these reasons justify why your brand should make use of immersive VR experiences as a way to market its products and services. Why not allowing your customers to dive into new worlds while piquing their senses? La #realitevirtuelle améliorerait l’empathie. Article instructif sur cette nouvelle technologie immersive et son impact social ! Le pouvoir de la 3D est sans limite. Une technologie de pointe qui pourrait être utilisée pour reconstruire au millimètre près la cathédrale @notredameparis ! 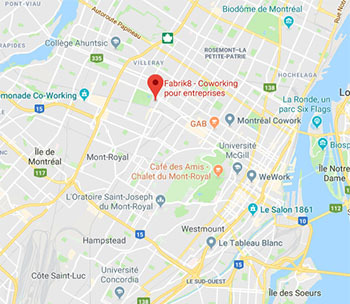 Having operating offices in central Paris, Bordeaux and Montreal, Persistant Studios Group and its subsidiaries (PopcornFX, Apperture, Digital&Human) encompass a dedicated team of people that are always keen to meet their clients and becoming partners! Willing to initiate a 1:1 discussion with a dedicated Account Manager regarding the development of your project? The phone option could be a good one to start with. Feel free to give us a call: +33 9 51 51 42 11. Our Fax number is: +33 9 56 51 42 11. Are you a brand or an industrial company in the need of requesting our expertise for a specific project? 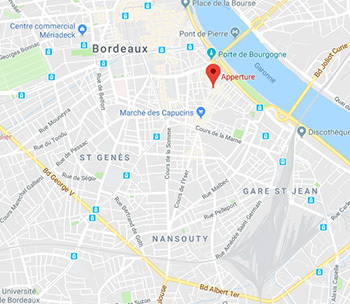 Feel free to drop us an email at our main address: atelier@apperture.fr. Your request will then be forwarded to the right team for that purpose.